Managing Editor Nicole Browning, Social Media Editor Maria Dossett, Editor-in-Chief Sam Rosenstiel, News Editor Natalie Hamren and Northerner Adviser Michele Day receive Pinnacle Awards at the National College Media Convention, Oct. 26, 2018. The Northerner won first place in the Best General News Story category for “Student: I didn’t want there to be a girl after me,” which used Title IX documents and a student’s trying account to detail sexual harassment by a university choir director. Written by current Editor-in-Chief Sam Rosenstiel and former Editor-in-Chief Mackenzie Manley, the article ran in print and online on April 11. Photo Editor Colin Johnson won second place in the Sports News Photo category for “Norse fall in Horizon League semi-finals,” which ran online on Nov. 2, 2017. Illustrator Mo Herbe won second place in the Editorial Illustration category for The Northerner’s “Self-Care” edition, which ran in print on Feb. 14, 2018. 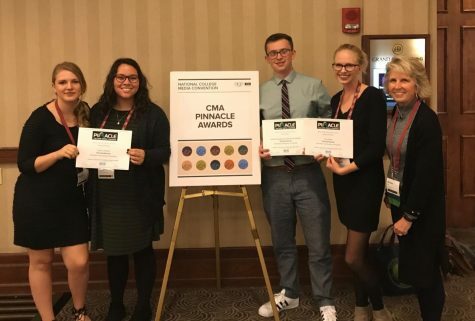 The Northerner received each award at the National College Media Convention in Louisville, presented by the College Media Association and Associated Collegiate Press. The Pinnacle Awards honor excellence in student journalism at programs across the country. 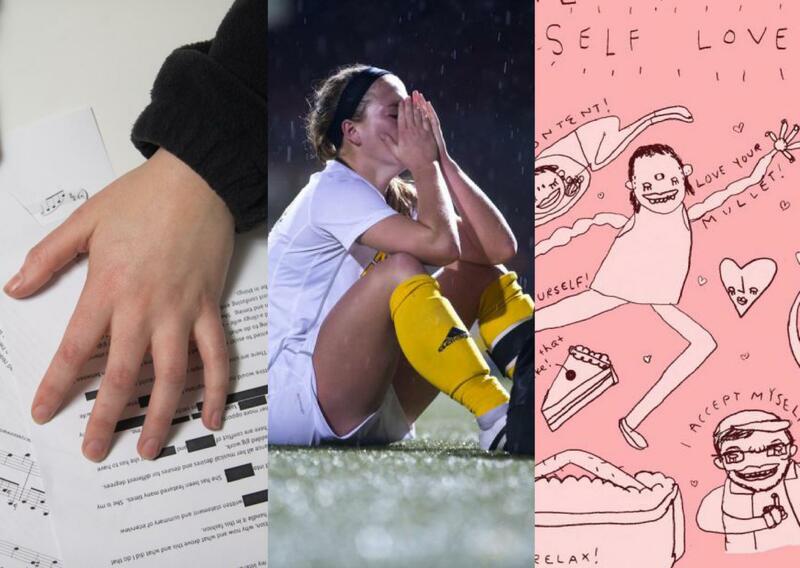 Among this year’s honorees were top college media organizations, including the Daily Northwestern (Northwestern University), Daily Bruin (UCLA) and College Heights Herald (Western Kentucky University). Previously, the Pinnacle Awards honored The Northerner in the Best News Package category (2015) and Best Multimedia Story category (2013). 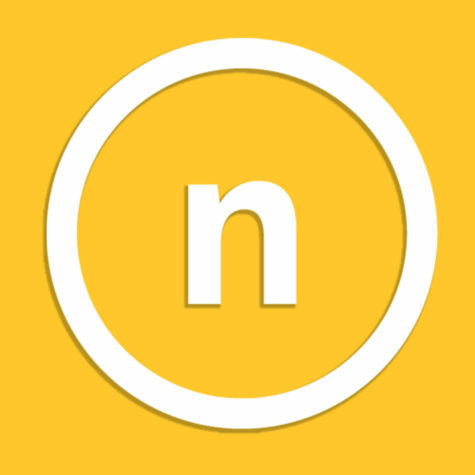 For more award-winning coverage, visit thenortherner.com and follow us @northernermedia.